Fundraising efforts are underway for 14-month-old Amira Rauf from Carlow who has been left paralyzed from her chest down after a car accident towards the end of last year. 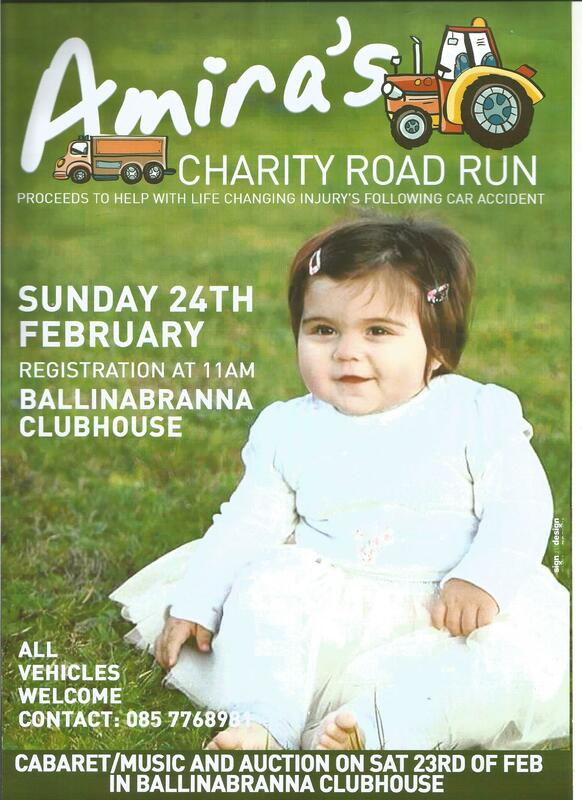 “Amira’s Charity Road Run” will take place on Sunday, February 24 and all proceeds will go towards helping Amira with her life-changing injuries following the car accident. Amira sustained critical and serious injuries and was non-responsive from the scene of the accident until she got to Portlaoise Hospital where they worked on her and brought her back around. Caroline, a mother-of-two, sustained a lot of bruising from “head to toe”, her chest was impacted as well as her hip. Registration for the event is at Ballinabranna Clubhouse at 11am and all vehicles are welcome.